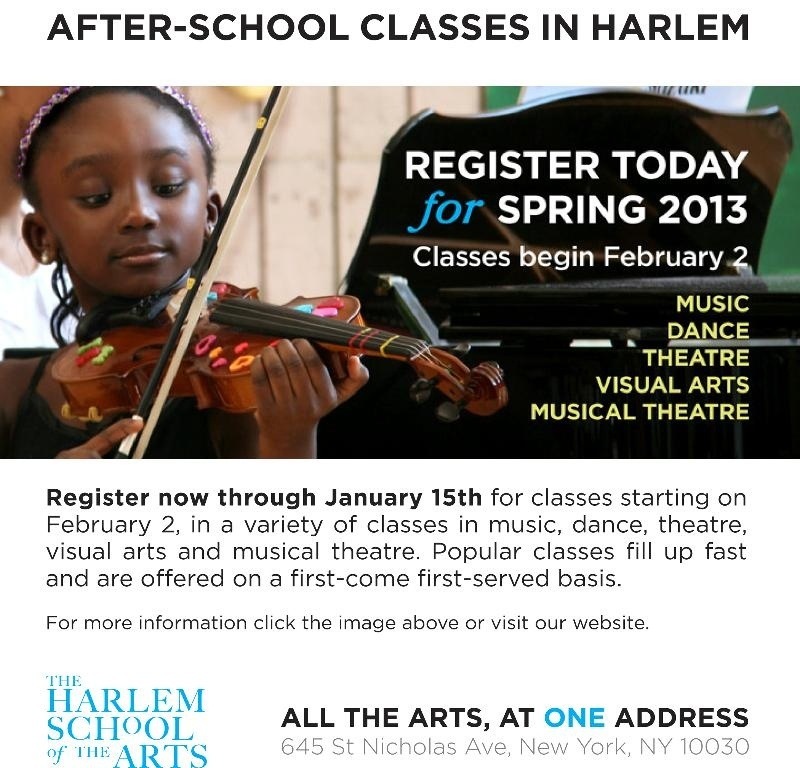 Registration for Harlem School of the Arts Spring classes begin now | HarlemGal Inc. This entry was posted in art and culture, Community, Harlem, kids, music, New York, New York City, NYC and tagged arts, Harlem, Harlem School of the Arts, things to do with kids in harlem. Bookmark the permalink.